Money has never been that important to me, but that being said I’ve been aware of it from quite an early age and always managed to find a way of acquiring it some how. 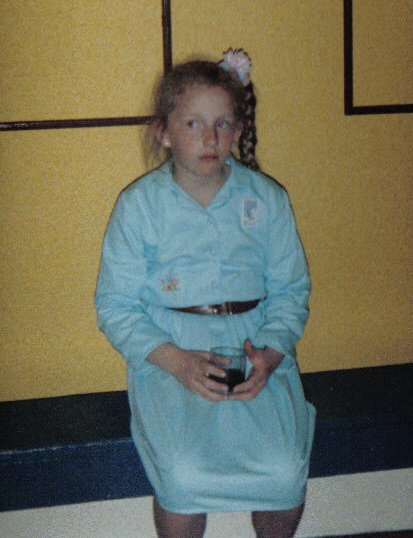 Aged 7 I used to convince my sister that my handful of coppers were more valuable than her shiny £1 coin. At secondary school I capitalised on the craze for sticky hands, buying a box of 100 for £4.99 and selling them for 20 pence each to my school friends. Later I worked in my local wimpy for a measly £1.50 an hour, aged just 15 spending my weekend dressing up as Mr Wimpy for children’s party’s in order to save for a Gameboy. In my quest for pocket money I have been a papergirl, a car washer, babysitter, play worker, barmaid, theatre usher, check out assistant, salad packer, drama leader…the list of jobs I have tried is endless. Nobody can ever accuse me of being work shy and I just have a real passion for seeking out interesting opportunities. At it’s core that is what being an entrepreneur is all about, I guess I’ve just never been comfortable taking on that label myself. Don’t get me wrong I have had normal jobs, 9-5s with proper contracts and stuff, but I have done a whole heap of voluntary work too…I am a sucker for seeing a need and finding a way for it to happen. One year during the summer holidays I turned our attic into a library and invited all the local kids to donate their books. Another summer I turned our small garden shed into a kids club…and it is that ethos of simply making it happen cos it would be good fun to do is how #onebigfatrun came about. 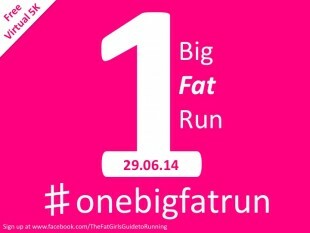 One Big Fat Run is a free virtual 5k for plus size women which happens every month (this Sunday is the next one) with an ambitious goal of getting 1 million FAT women running. The run has been in existence for close to a year now and seen well over 2000 runners take part from all over the world. 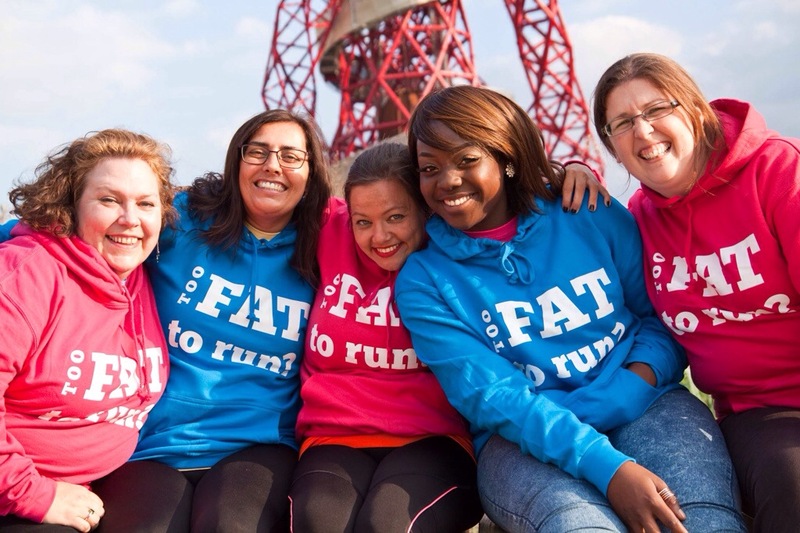 Tomorrow sees the inaugural Fat Girl Run Clinic, a 1 day running retreat in East London specifically designed for plus sized runners. It is fully booked with 19 ladies joining me for a day of sharing, off loading, learning, planning…and of course running. Rain is forecast and the day coincides with London Pride and the Holi Festival so anything could happen, but I have a fantastic day planned with a nice lunch and loads of opportunities to share experiences and build in confidence in a safe environment. 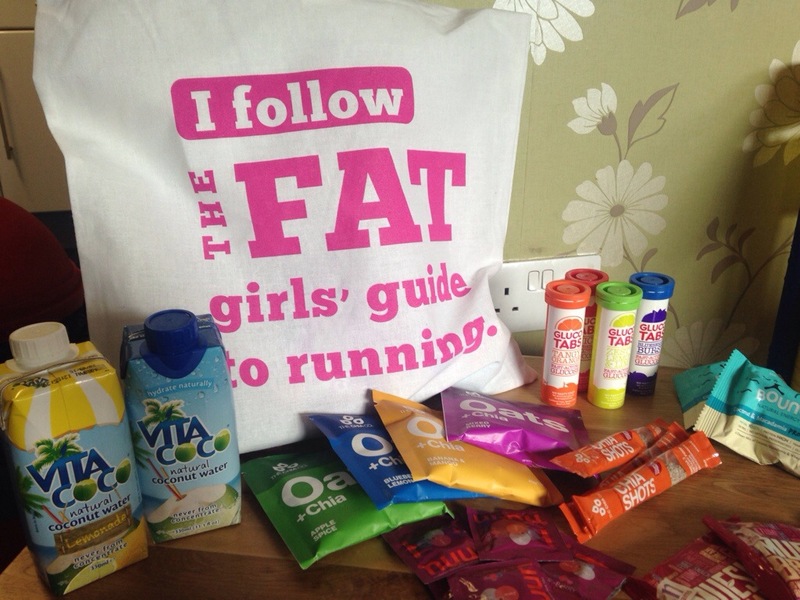 As the ladies make their way home tomorrow with their aching muscles, goodie bag and action plans, I will be rearranging our venue for a one off POP UP shop giving the first public view of my “Too Fat to Run?” clothing range. Doors open at 6pm until 8pm, in Stratford (E15 2SQ) East London. The new website goes live on the 14th July with a new and improved platform for sharing advice and resources, plus of course this blog which has become so much more than my humble ramblings read by only my siblings and friends. It seems like things are taking off, but I think Alan Sugars empire is safe for now and I have no desire to follow in the footsteps of West Ham vice chairman Karren Brady, taking on the big boys of sport…but I am on an incredibly exciting journey with this new venture and I couldn’t be happier right now. A few years back I wrote this post about wanting to be a zumba teacher, making a joke about changing career…what makes me laugh is that a shiny new career was already staring me in the face even then, sometimes I guess it just takes a while for you to see it. Well this is it folks, I don’t know if it will fail or not, but I know this is what I want to do, I have never been so certain of anything. So guys…what would you do if you knew it wouldn’t or couldn’t fail?